International Peace Day is observed every 21 September to promote peace and stop war and bloodshed across the world. In Afghanistan, International Peace Day is also being celebrated through holding traditional gatherings, events and sport competitions throughout the country by civil society entities and social groups and governmental institutions. OPAWC participated in the International Peace Day gathering held by AWN (Afghan Women's Network) with collaboration of the Ministry of Women's Affairs. In this gathering high ranking members of the government and civil society organizations including OPAWC participated. The session started with a Slogan (Peace is the messenger of Hope and Development). Several discussions took place about activities and commitment to establish peace. 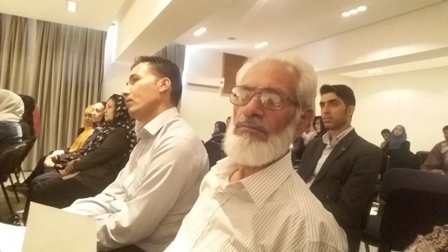 Participants talked about the dire consequences of conflict, the desperate need for lasting peace and their necessary role, as individuals, in laying the foundations for a conflict-free Afghan society. The major issue was that instability and war cause unemployment, weaken the education system and lead to increased corruption, criminal acts and abductions. The discussions not only focused on peace and development but also on the issue of women’s participation in the peace councils. The government should draw more attention to this issue, as it is important for achieving lasting peace, reconciliation and development. OPAWC believes that in the current conditions reaching peace and a peaceful Afghanistan through agreements with war lords and criminals is a dream. Peace is what every Afghan needs, especially the women and children who are suffering from the savage consequences of war. Peace can only be achieved by enhancing our knowledge and being clear about who is our friend and who is our enemy.